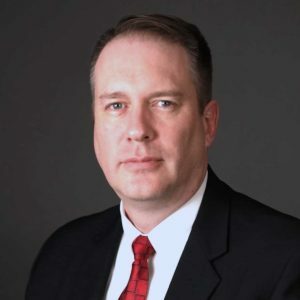 Dan Owen was born and raised in the Ozarks, and in 2016 moved to Brown County, Indiana, after serving as a US Air Force Intelligence Officer, government contractor and industry consultant for nearly 25 years, including three separate tours of duty in the Washington, DC area. Since 1992, he has built trusted relationships connecting key influencers and operators in government, industry and academia, across multiple sectors, in the US and abroad. Dan is passionate about connecting great people with great ideas to ethically and efficiently solve hard problems with sensible and cost-effective solutions. His skills and experience span diverse discipline areas including: national and homeland security; defense and aerospace; cybersecurity and privacy; critical infrastructure protection; law enforcement, emergency services and public safety; international relations and diplomacy; venture capital and economic development; business development and operations; life sciences, medical devices and biotechnology; vocational missions and ministry. He has performed work in the White House under four different presidential administrations, most recently as the US Department of Homeland Security’s senior representative to an interagency working group supporting a critical National Security Council initiative for the Office of Science and Technology Policy and the Office of the Director of National Intelligence. Since becoming an adopted Hoosier in 2009, Dan has supported National Security and Defense initiatives in Indiana, including several at the Indiana Office of Defense Development, the Indiana National Guard (Army and Air), the National Center for Complex Operations, The Sagamore Institute and NSWC Crane. For the last few years, he has also supported entrepreneurship and economic development for the State of Indiana by mentoring and coaching security, defense and life science companies.